One of the most intriguing and thought provoking scenes to come out of NCIS:LA’s Season 5 was from the Densi-defining episode "The Frozen Lake", written by Dave Kalstein. As Kensi tries desperately to find a way to explain to Deeks what she is feeling, she chooses the spiritual side of her Sayoc training for inspiration. 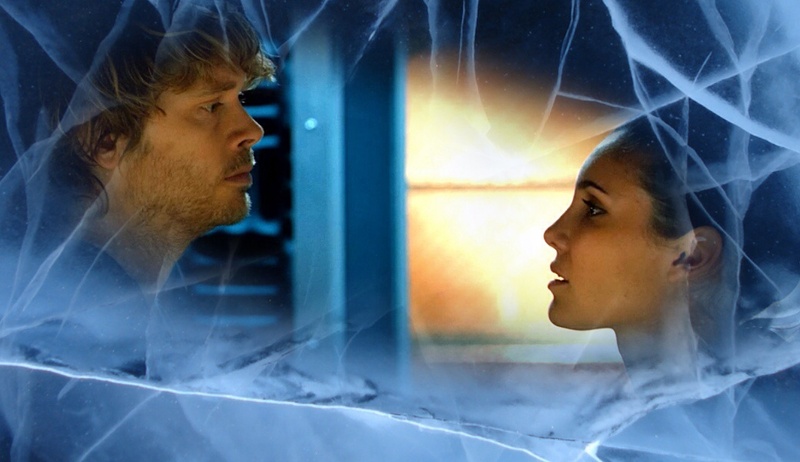 From this moment, the frozen lake analogy opens up a whole new dimension to Densi’s relationship as she teaches Deeks how to take the next steps in their complicated dance. 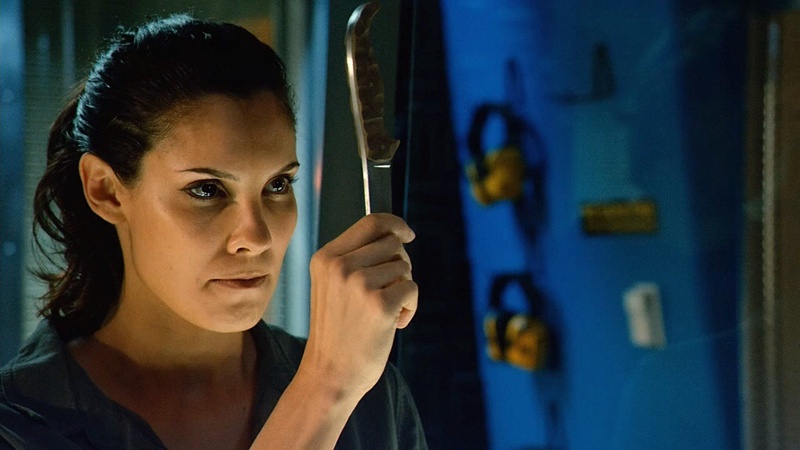 As Kalstein mentioned in an interview with wikiDeeks, “Kensi wasn’t just telling Deeks a story, she was actually training her partner by giving him a tool to understand the emotions they have for each other.” Sayoc gives the student a toolset to respond to any hostile situation armed or unarmed. So when Dave Kalstein began incorporating the art of Sayoc into his NCIS:LA scripts, it was important not only to highlight the knife fighting and stick grappling which is the foundation of Sayoc training, but also the invaluable mental training component that is such an important part of the regimen. Kayanan expressed that in between sets of physical drills you can find an instructor relating shared experiences, while showing how the physical drill is really also a formula about human behavior. “Any physical behavior is applied mental command. It can be applied by a muddled mind or a clear mind. It’s your fire.” Using the frozen lake teaching is about being smart and maintaining a strategic perspective, seeing the bigger picture and understanding what’s at stake and coming up with a plan of action that will address all ramifications. As Thapa (the Gurkha) said, “Walk slowly. Stop to look at everything. Take your time.” Even though Kensi is afraid their relationship isn’t going to work out, she stops to explain to Deeks what is going on inside her mind. The frozen lake training has taught her to be observant, careful and thorough in identifying problems she may face. Kayanan says that Kensi’s character is a metaphor for life and that she makes choices and desires the same way many other people do. “Whether she is right or wrong depends on how Deeks handles it as well. We can do something for our self that is right, or right for the other person or right for all involved. Every move is correct until the next move tells you it’s wrong.” That’s why she exposes her innermost feelings and tries to explain why she acted as she did. She realizes that they are in this together and she can’t solve the challenges they face alone. Communication is key for Densi, something Kensi has continually found frustrating in her relationship with Deeks. Even though she berates him for not being able to say what he means, she knows she has the same exact problem, which is why she decides to use the frozen lake metaphor to explain the storm raging inside her heart. After Deeks rescues Thapa, the partners stop to talk next to the ambulance and Kensi decides to trust her training as she asks Deeks for his patience. She’s not just asking him to be patient as she works on her communication skills, but to be patient (disciplined) as she slowly works her way across the frozen lake, moving their relationship forward inch by inch. Kensi uses the teaching to find her way through her fear in order to take on the challenge. She realizes that if they can get their thoughts together, and be smart about their next moves, then they can have it all! When asked if there are other ways to cross the frozen lake besides what Thapa teaches Deeks, Kayanan replies, “Yes, but that’s for Deeks to show us, isn’t it?” We have a feeling Deeks has already been showing us how he will cross the lake and then we’ll get to see how well Kensi has trained him in the Sayoc philosophy! Thanks go out to Rafael Kayanan for taking the time to explain the frozen lake concept to us and how it was applied in this episode. You can also read his interview with wikiDeeks in its entirety tomorrow and find out more regarding how Sayoc teaches their students about the frozen lake metaphor and how they can apply it to their everyday lives. In the meantime, tell us if our interpretation of the frozen lake matched yours in the comments below. Karen P. is a contributor at wikiDeeks.com. Thank you Diane for another thoughtful article. And huge thanks for Rafael Kayanan for providing the background and thought process behind this aspect of the storyline!! It really is a rare gift to have that sort of insight into such a powerful and pivotal storyline from behind the scenes. This article reminded me once again why I love NCIS:LA. I typically have a limited threshold for fictional action/violence, in part because I have a high adrenaline job where I see actual victims and perpetrators of violence so I want my “fun” to be different than work. However, the story lines are so well-crafted, deep, thoughtful and compelling that together with the high-quality of the actors’ performances it just keeps me coming back for more. Sometimes I have wondered if I am just projecting my analytical nature on the show. This interview very clearly demonstrates that this show is not just about “catching bad guys,” rather there is rich meaning in the carefully crafted story of each of the characters’ lives woven amidst the cases. Fantastic interview. Thank you. Really brings the Densi relationship into perspective and it makes sense. Thanks guys. It was fun to learn about the teaching. Really fascinating. This is exactly why I am so fascinated by NCIS LA. I love rewatching each episode and catching all the metaphors and symbolism. And Frozen Lake is one of my all time favorite episodes. Fascinating interview and article! Thanks! This really put into perspective the whole “frozen lake”. I understood the basics, like Deeks did, but wow, the depth of it is amazing. now I believe I understand why she didn’t look upset when it seemed like Deeks was pulling away in “three hearts”…….he is being slow, taking his time……especially after what happened over in Afghanistan. I mean, he didn’t say they were over and he didn’t say they were together. The whole raccoons mating for life thing was his way of saying that he is still for them, but at a slow pace so their frozen lake doesn’t shatter underneath them. Because if they got into a relationship right then and there they wouldn’t have time to deal with everything that had happened to each of them. A lot of what happened between Sidorov and Afghanistan needs to be dealt with with just themselves first before they try to help each other or it will be a lose/lose situation. They would hurt each other before the relationship even got off the ground……..
this is making me really excited for the last episodes! OH! and the whole three hearts thing ties into the frozen lake!!!! omg! I’m so loving this! I’m clearly in the minority here, but I find the tone of this article to be very troubling. I’ve heard similar attitudes from religious zealots and cult members, especially when it comes to the justification of violence. Anyone who disagrees with the justification is just an unbelieving infidel, and the objects of that violence need to be “trained” by the spiritually superior master to see things the right way. 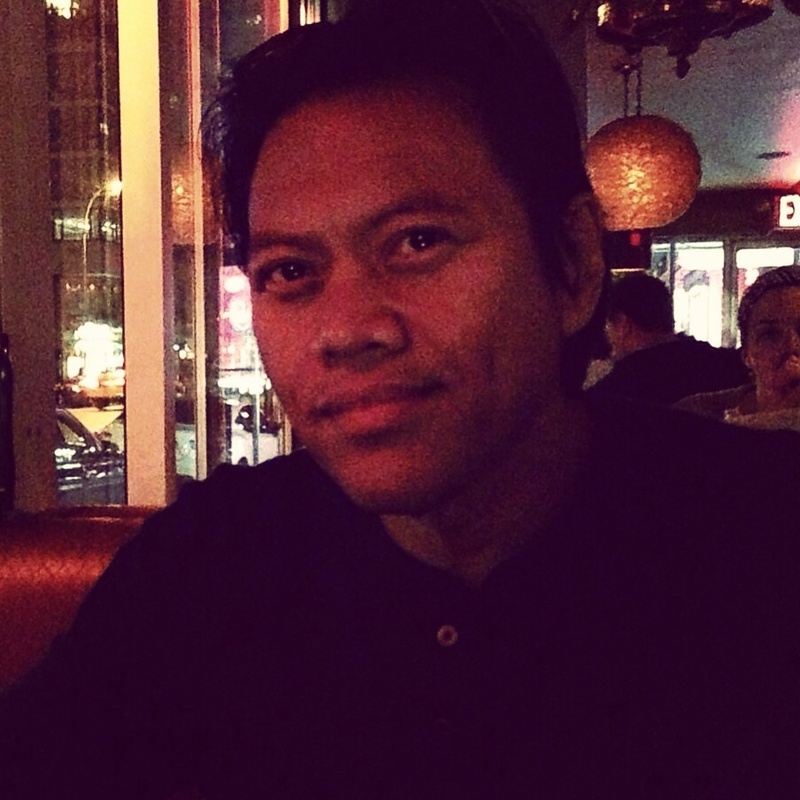 I would never deny Rafael Kayanan his right to his own beliefs, but those rights end when fist meets face, and he uses his belief system – any belief system – to justify it. I’m sorry, Jan, but I must have missed the part about beliefs justifying violence… Where exactly was that again? The article I read talks about finding balance between mental and physical acuity and how that relates to the personal and professional relationship of 2 characters in a TV show. The only part where violence is mentioned is the part about Kensi punching Deeks and it clearly states that she failed her partner. She reacted poorly and allowed her emotions to affect her actions, which would be the opposite of what Sayoc is trying to teach. The justification is in the form of blaming the victim. Deeks does not act as Kensi wants, so she lashes out violently. To say that she failed her partner in doing so conveniently ignores the fact that there are laws and regulations against both workplace and domestic violence (this was definitely the former, possibly the latter depending on how you interpret their relationship). Kensi broke the law. Yet her only response is to try to “train” her partner to behave better (as per Kalstein), as opposed to apologizing and seeking counseling for herself. Most abusers find ways to convince their victims that the battering is a result of the victim’s own behavior. There is a reason why most states require police to make arrests in domestic assault cases, even if the victim does not want to press charges. That is because the abuser often convinces the abusee that it is their fault, and sure enough, Deeks apologizes for not taking the shot rather than report the incident and get her suspended. He is behaving like a typical child of domestic, taking on the blame himself for the batterer’s rage and lack of self discipline. ok, that is one way to look at it. But if you are going to look at it that way (the rules and regulations for the work place way) then you will have to face the fact that, if they went by the book with laws and such then Kensi should have reported him for harassment a long LONG time ago. All the nicknames and such that he has called her and all the stuff he has said is harassment. Maybe you think that physical violence (especially between partners who may or may not have been intimate the night before that violence) is simply a matter of rules and regulations, and that legalities are all that matter on this subject. I’m quite comfortable being among those that disagree. Thank you for doing this interview. As usual, it was very interesting.